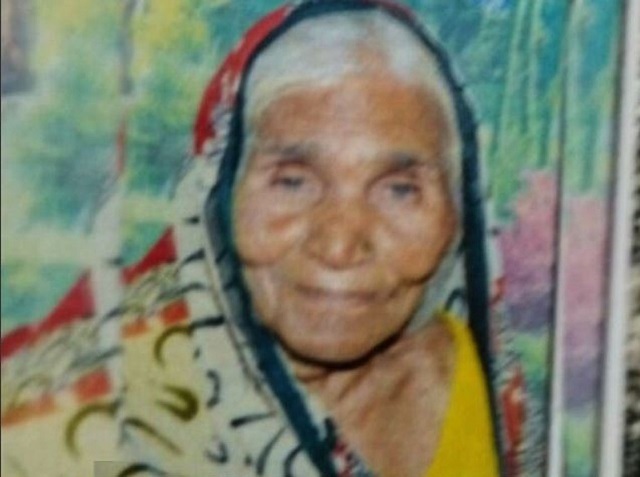 An elderly Dalit woman was allegedly lynched by a mob of upper caste men in Agra on Wednesday, after villagers thought she was a witch. The accused fled the village, cops said. A 62-year-old Dalit woman was allegedly killed by villagers in Dauki region near Agra on Wednesday over rumours of her being a witch. The deceased, identified as Maan Devi, had woken early morning to relieve herself. However, due to dark she lost her way and reached the other slum nearby. A girl was sleeping outside on a cot. Her sleep broke and on finding the woman in front of her, she started shouting. The slum-dwellers came outside and presuming Maan Devi to be a witch started thrashing her. Deviʹs family told that while the woman shouted out her name and her identity, the people present there ignored it and continued hitting her. Severely injured and bleeding, the woman was left to die by the mob. The woman was then sent to hospital by the police, and following primary treatment she was discharged. However, on the way back, the woman succumbed to her injuries. A senior police official reportedly said she was mentally unstable and incoherent, while her grey hair and scary looks seem to have prejudiced the locals. Recently, in many places including Delhi, NCR, Haryana and Agra, incidents of chopping off braids of women at night have come to fore.